Overall Goal: Developing climate adaptive and resilient livelihood systems through diversification, technology adoption and natural resource management for rural small and marginal farmers associated with agriculture and allied sector in Lateritic Zone of West Bengal. 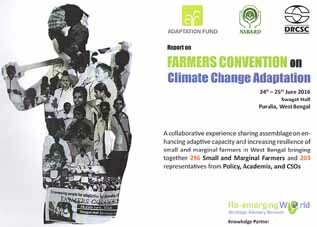 Specific Objective: To enhance adaptive capacity of vulnerable farm families in semi-arid regions of Purulia and Bankura districts of West Bengal by introducing measures to tide over the adverse impacts of climate change on their food and livelihood security. To conduct series of exercises with the stakeholders and analyze climate data/GIS maps to work out community planning exercises for land & water use master plan with the aim of developing protocol for collective management of natural resources. Developing climate adaptive and resilient livelihood systems through diversification, technology adoption and natural resource management for rural small and marginal farmers associated with agriculture and allied sector in Lateritic Zone of West Bengal. 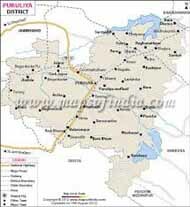 DRCSC is a non-government development organization working in 12 districts of West Bengal and other states. Our major concern is food and livelihood security of the rural poor through sustainable management of natural resources on the basis of principles and actions, that are environment friendly, economically appropriate, socially just and developed by mutual cooperation.